When cel-shaded games began to take off, Electronic Arts published a vehicular combat game known as Cel Damage on the GameCube, Xbox and PlayStation 2. It was a more cartoony take on titles such as Twisted Metal and Vigilante 8. 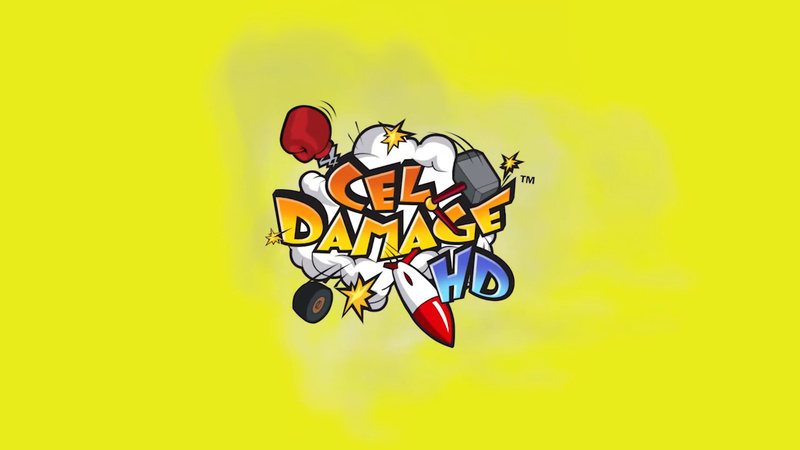 Since its original 2002 run, developer Finish Line Games has ported Cel Damage HD across to multiple modern devices. A listing on the eShop has now revealed the Switch will be the next system to receive the high-definition re-release, when it arrives later this week on 28th March for $9.99. If you haven't had the chance to play this game before, it includes single player and 2-4 player split-screen multiplayer. There are 10 different characters, 13 arenas, 3 game modes (racing, deathmatch and capture the flag) and 30 plus weapons. Unfortunately, you won't be able to play this one online. Take a look at this game's trailer below and tell us if you're interested. Man, I remember playing the demo of this on XBox in a Circuit City back in 2002. I wonder if it has aged well. Looks like I'll have to invest in this on my Switch since I barely played it on my PS4. I'm interested. not what i expected to be remade though. This is seriously a great game to play with friends. Bought it for GameCube in 2003. I hated it then, and I’m sure it hasn’t aged well enough for me to change my mind. @ReaderRagfish won’t lie, looked up news regarding the series just now. Wish I knew about Atlus’s survey last month I would’ve definitely requested a new one in the style of 1 or 2. Geez the soundtrack is stuck in my head, still catchy as ever. @BanjoPickles same. It wasn't good then at all. All these years later and all I can think is "why are people still trying to make Cel Damage happen?" yucky. 1). No, it really isn’t. 2). Yeah? 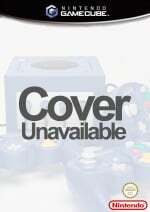 So is Bomberman, Contra, Goemon, Spy Vs. Spy, Twisted Metal, Mario Party, Mario Kart, Goldeneye, and about a million other games that are much better games than Cel Damage! Somebody is going to say “hey, it’s only ten bucks!” Yeah, and there are also countless great games that are currently on the eshop for the same price. Have higher standards. I don’t remember this game that well, but I think it was sort of fun... had it on the GC and bought it for the graphics. Seriously weird seeing it after forgetting about it for so long. I remember Cel Damage, it's a poor game. The superior Wacky Races deserves an HD remaster. I remember this as being distinctly average. It strikes me as an odd choice for the HD remaster treatment. Where’s my SOS: The Final Escape remaster? Does the music remind anyone else of Wipeout 64? @MadJay1664 Oh, like Splatoon 2 then.. It was an easy Platinum Trophy on PS4 and Vita, but I don't think I'd play it without the trophy achievement angle to give it some purpose. No reason to play this on a Nintendo console where Mario Kart is a thing. @ThanosReXXX I was about to say I've never heard of Vigilante 8 but I just saw the box art then remembered one of my mates had it for the 64. I don't remember playing it though. Any good? I had Wacky Races on the Dreamcast, great game. @OorWullie It's a vehicular combat game with all kinds of crazy weapons and in various types of open world arenas. It's like Cell Damage, but good. The makers of Cell Damage were more than likely inspired by it, and were somehow under the illusion that they could make a better version of it, or a more funnier one by applying cell shading and adding cheesy humor. Vigilante 8 was infinitely better, and actually a lot of fun with a couple of friends. There were 2 games released in the series, the second one appropriately called "Vigilante 8: Second Offense". The games were released for PC, N64, PS1 and the Sega Dreamcast, and the first game was later re-released on Xbox 360 as a Live Arcade title.